Just think you are in a world where there is no light to turn on when it got dark, no fossil fuel for transportation, operations in hospital are held up due to shortage of backup generators as it runs on fossil fuels, no hot water for shower or heat for your house in the winter….and so on. We can’t think such a disastrous situation; perhaps it could be reality if we don’t act urgently by saving the precious energy which aren’t renewable at the moment. It will help to save the world’s energy resources like gas, oil & water besides saving money on your utility bills. Best of all, by using energy wisely we can cut down on pollutants in the air and water, making a better environment for everyone. It requires the commitment and awareness among self for preserving and conserving the energy. In fact, it should be in our gene to tackle the wasteful use of energy. Paradigm shift in our life is the need of the hour. We just spend the energy as per our requirement without knowing the consequences for the future generations. Energy consumption is an indicator of any country’s prosperity. 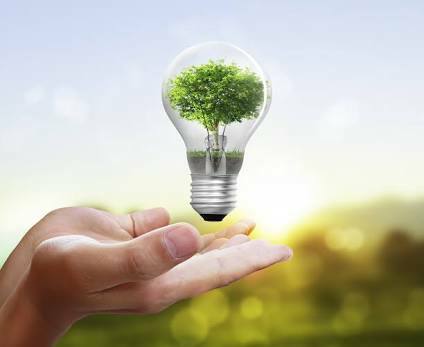 The energy conservation doesn’t mean ‘No use of energy’ rather it indicates ‘Efficient utilization of energy’. It is said that one unit of energy saved at end-use is equivalent to four units of energy at upstream end. There are many ways of effective and efficient use of energy in our day to day life which is described below which could be turning stone in preserving the environment and ecology. The simple known facts are being ignored during use of energy in sectors like commercial, industry, agriculture, transport and domestic. Let’s discuss the domestic and transportation which are easy to implement and have major portion of energy consumption. Turn off the lights when not in use should be a habit instead of rule. Take advantage of daylight by using light-colored, loose-weave curtains on your windows to allow daylight to penetrate the room, use with lighter colors on wall that reflect daylight. Compact LED lighting is gaining more focus for domestic and commercial buildings. When cooking on a gas burner, use moderate flame settings to conserve the gas. Remember that a blue flame means your gas stove is operating efficiently. Yellowish flame is an indicator that the burner needs cleaning. Bring items taken out of refrigerator to room temperature before placing on the gas stove for heating. Switch Off the power and unplug the devices when not in use as it leads to a power loss of 10 watts/device. A roof garden can reduce the load on air conditioner. The use of public transport not only saves the energy but also it improves the traffic menace which we are facing at the moment. Due to increase of population in many cities around the world, the existing roads and infrastructure are unable to sustain the traffic requirement. The car pooling should be used by the office goers to save energy as well as monthly transport bill. It should be implemented as a corporate policy and employees are to be forced for this initiative. The cycling for a shorter distance must be used; in fact, it should be a part of government initiatives. This will have a positive effect in maintaining our health. If time permits, we should emphasize for the train instead of plane travelling. These are some of the important initiatives which should be immediately implemented. Of course, it requires self awareness, commitment and positive approach towards energy conservation. Without our contribution, no government in the world will able to achieve the ultimate goal of saving the fossil energy sources. Let’s make a habit of efficient use of energy by today itself !! !